I know, I know.. it’s almost time for SalonQP 2017, but I had to give you guys a quick recap of this year’s edition. Why so long after the event ended? Well, we were a bit busy with a lot of different things so this right here stayed in the fridge for a while. Anyhow, I felt like sharing my experience regarding the 2016 edition. As you all know, there weren’t much new things to be seen, but that doesn’t mean I don’t want to talk about it. Since we had no plan to visit this year’s edition, I had a fairly positive state of mind when I started the trip to London. Being a two man team, one has to decide what’s possible and what’s not. 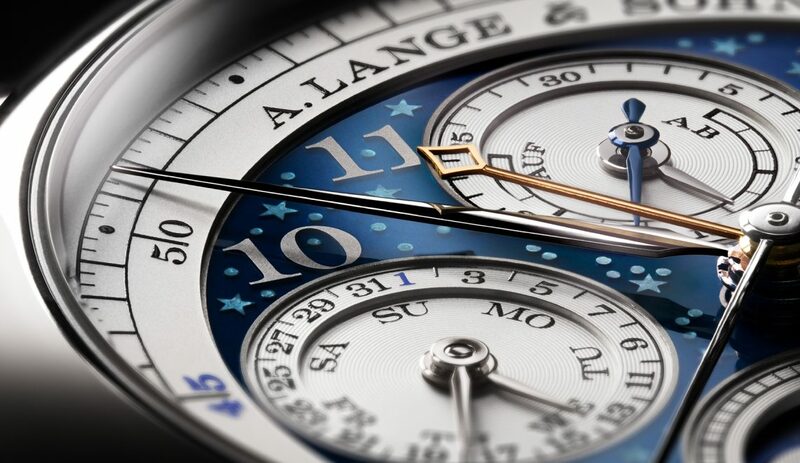 SalonQP 2016 didn’t show up in the list of possibilities up until a week before the start. Which meant the phone and my email worked overtime, to fix last-minute appointments. After all, running young, wild and free through the Saatchi Gallery is cool, but a little chitter chatter with some of the people there would be nice too. Everything planned out and structured, I packed my bag and went to catch a plane; destination London. 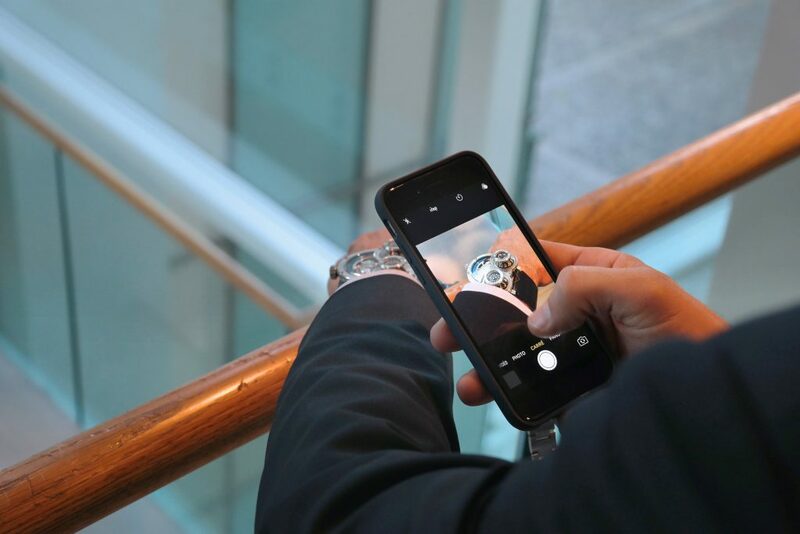 When I arrived at the Saatchi Gallery – normally inhabited by contemporary art – the watch enthusiasts were intensively discussing the different timepieces they wanted to see. 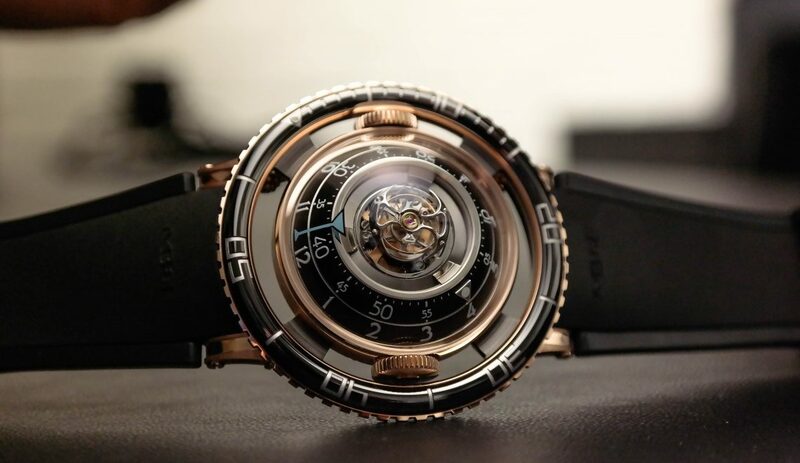 One name returned a lot in most conversations: the Armin Strom Mirrored Fore Resonance. 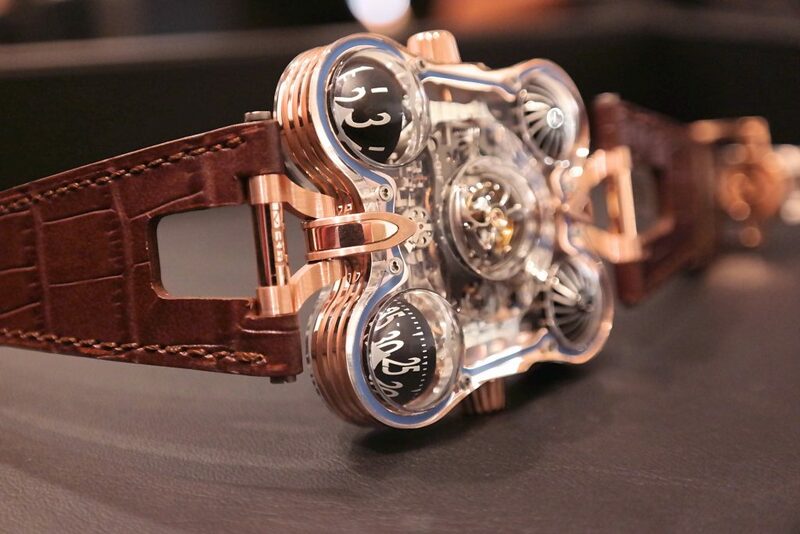 A beautiful piece of horology, introduced worldwide just before the start of SalonQP. 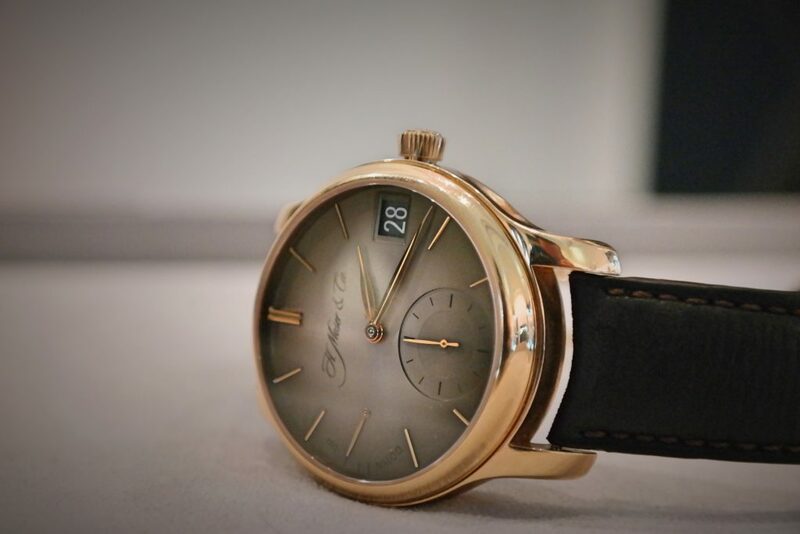 Anyhow, this immediately underlines one of the things I like about SalonQP: the informal setting and the fact that it almost has something of a giant watch get together – with a bit more elegance and style that is. A few minutes before the opening, one checked the ‘official’ time by looking at his iPhone – I never get used to that. Wearing a great watch with the convenience of displaying time and then – ironically – switch to an electrical device because you need to know what time it is. Anyhow, with chronometer precision, the doors opened at 12am. Of course, I went with a few meetings on the agenda, but to be honest I was looking forward to just talking with other watch heads. 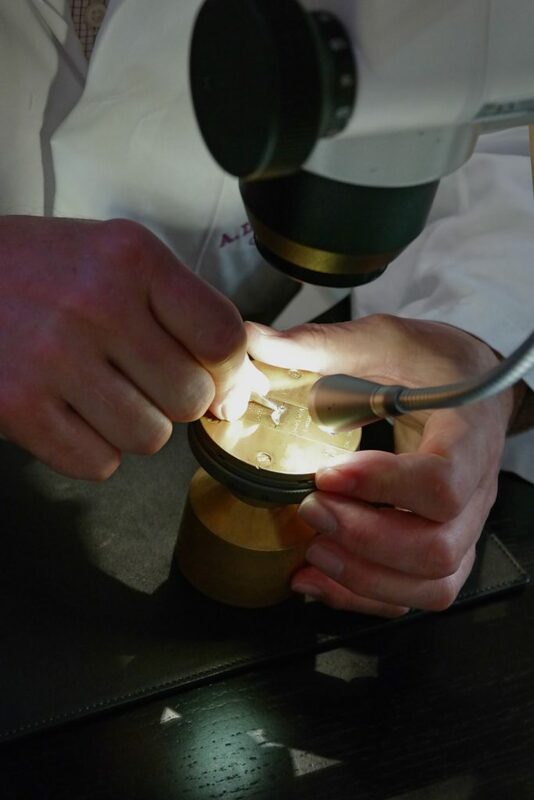 A good example of the accessibility when it comes to SalonQP was the moment I went to visit A. Lange & Söhne to see a master engraver working on a Lange watch. 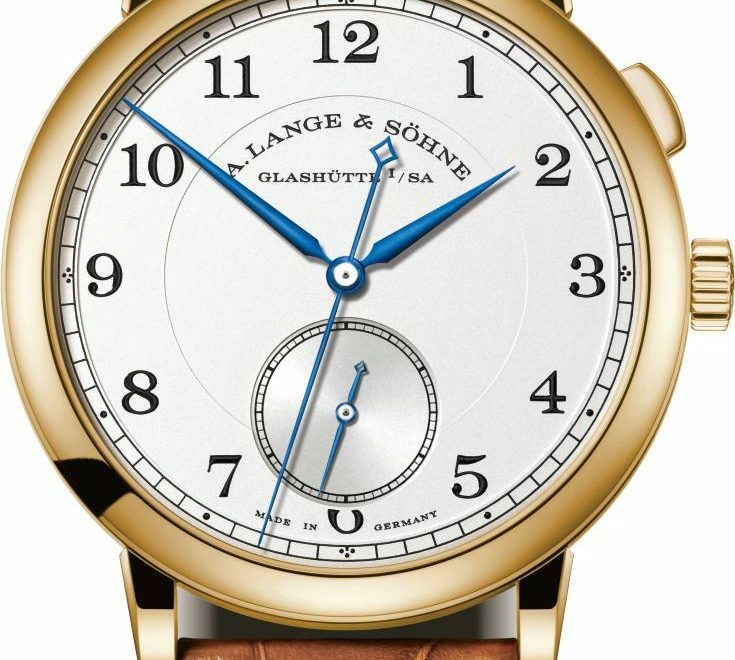 Besides the fact that I love to see a craftsman doing his thing, I really loved the fact that another visitor showed his own Lange to the engraver and they came to the conclusion that he worked on that timepiece too. It shows how easily one can talk to another one without the arrogance of a certain position or name. At the Atelier DeMonaco I’ve discussed the elegant design of the Quantième Perpétuel – even though this watch measures 44mm in diameter – with their head designer. 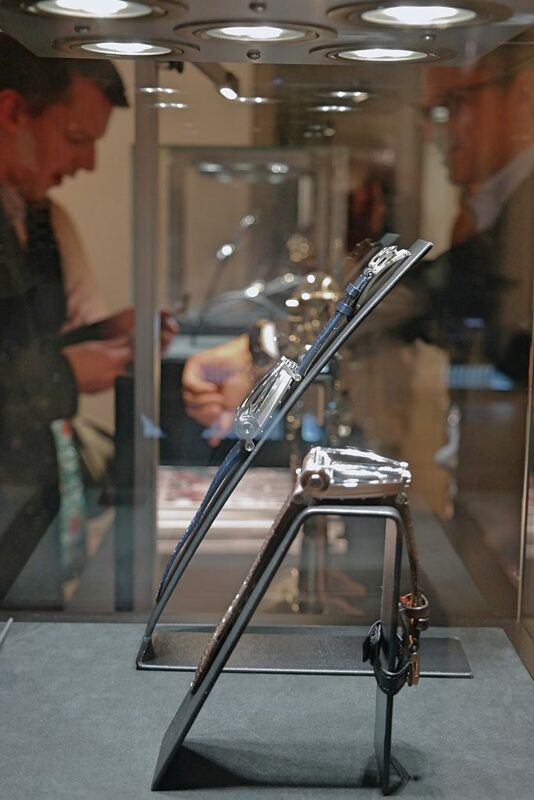 MB&F welcomed me with the HM8 ‘Can-Am’ and I have to admit: it was a pleasure to finally meet this beauty. Over at Moser & Cie. they were already packing up their stuff – I was late, my fault – but paused that to talk with me about.. well yeah, everything I wanted to know. Why am I telling this? To underline what I said earlier on. 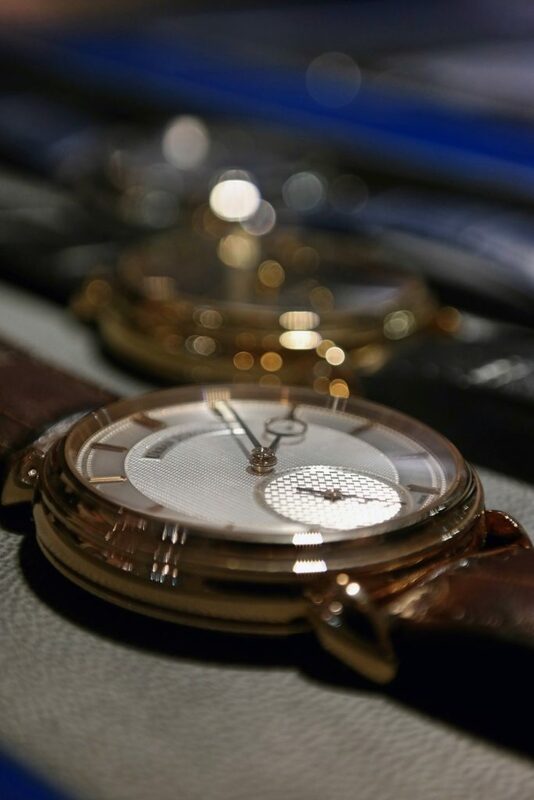 SalonQP is all about talking about the watchindustry and being able to do that with anyone that’s available. It is not only the ‘known’ brands that can be found at the Saatchi Gallery, there are also a lot of Independents to speak to and I must admit – Europe’s finest. From Barcelona to the Fjords, all aboard the SalonQP train. Besides a lot of watches, one can also leave SalonQP with a lot of knowledge about craftsmanship, the industry and stories from watch makers themselves. A masterclass from bespoke strap maker Mia Sabel, introductions in the movement technique and several seminars from respectable people within the industry. Or at least, I would call Kari Voutilainen a respectable person – wouldn’t you? Anyhow, it makes SalonQP much more than just a showcase. I know there will be people who think it is fairly useless to visit an event that doesn’t display much new things, but one can’t be more wrong. Is about so much more than a new collection. The conversations I had with fellow bloggers, other media, collectors and craftsmen – it is about the watch world. Nothing less. The conversations, meeting new people, the experiences of different individuals and sharing opinions: I think it’s time to give the word ‘watches’ a little makeover. A makeover it deserves and one that gives rightful respect to those little creations. I present to you: ‘Mechanical Art’. Art that has to be recognized by each and everyone in the industry. No longer a thing that only has a place behind the window of a jeweller, or in giant hall occupied by vacuum cleaners and cleaning soap a week before. Watches are art and watch makers are artists. The Saatchi Gallery; a gallery occupied by contemporary art one day and mechanical art the other. How it should be. People with a vision, respecting techniques and knowledge from ‘Old Masters’. Combining this with modern-day technology and changes. A way of interpreting the industry as it should be. Watches are much more than pieces of precious metals with a leather strap stuck to it. There’s a story behind each watch – made up or not – art is a realisation of one’s creative mind. 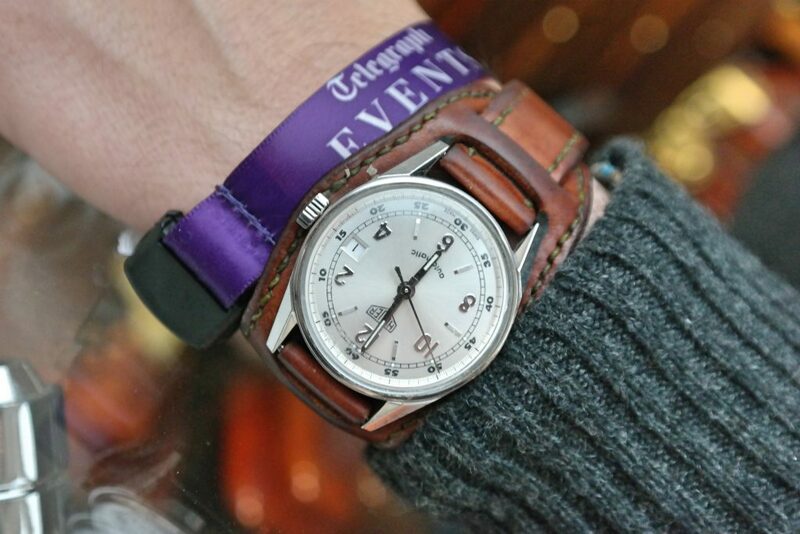 SalonQP is a great event in my opinion. I’ve talked to a lot of people and I met even more new people who seem to inspire me. It’s about much more than new additions and – as we have seen recently – I think that the total industry should be more important than ever. I can stress it enough, but I think it’s crystal clear the industry needs each individual that has love for timepieces, making events like this more and more important. Time for arrogance to leave the table and let likeminded people talk about what really matters. SalonQP is a good example for that change. See you next year.